For those of you who enjoy delving into the history of a region, the Lough Derg Lakelands offers much to inspire you. We have castles, abbeys, ruins and much more to let you step back in time and learn about the diverse history and we also believe it is a great way to educate children about the past. Nenagh Castle, Nenagh – One of the highest points of historical reference in the region is Nenagh Castle. Recently refurbished, a climb to the top will give you an impressive view over this market town. Completely in 1220, it served as the seat for the Butler family until 1391. Portumna Castle and Gardens – On the other side of the lake in Portumna, Portumna Castle and Gardens provides a great place for walking. 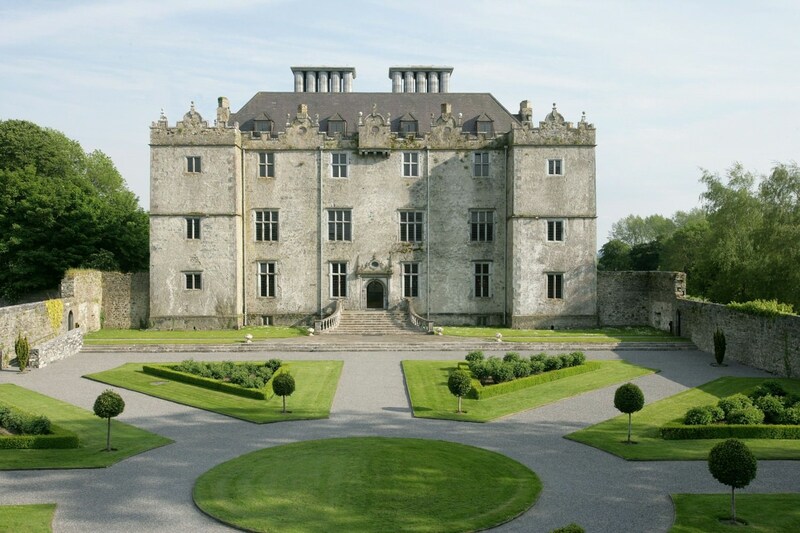 Located near Portumna Forest, the grounds have a 17th century garden that has been restored, however, the castle itself was gutted by a fire in 1826 but it still can be visited and it is amazing to see the bones of its original architectural grandeur. Lackeen Castle, Lorrha – Initially built in the 12th Century, the castle was rebuilt in the 16th century and it was during this rebuilt that a 9th Century mass book called Stow Missall was discovered hidden in the walls. The book is now housed in the Royal Irish Academy. St.Flannans’s Cathedral, Killaloe – While walking around the lakeside town of Killaloe, be sure to pay a visit to St. Flannan’s Cathedral in Killaloe. You can tour the tower with prior arrangement but we also highly recommend listening to the ringing of the bells before Sunday service, it is quite a memorable experience. “Graves of the Leinstermen”, Tountinna – Visiting these graves involves a good walk up above Lough Derg. On a fine day, it is well worth the climb as you’ll benefit from spectacular views of the lake. The “graves” are actually thought to be part of a Neolithic stone circle or tomb with one stone still standing and the others now covered with undergrowth. Redwood Castle, Lorrha – Another gem in Lorrha is Redwood Castle, a Gaelic tower house which was restored in the 1970’s by a member of the Egan family. It is actually the largest surviving tower house in the region and can be visited during specific days of the year. Pre-booking is a must. East Galway Family History Society, Woodford – If you are looking to trace your own family history in Galway, a visit to the East Galway Family History Society is a must. Since 1991, the society has been collecting everything from records to land surveys and much more to help compile family histories. Nenagh Heritage Centre, Nenagh – On the other side of the lake, the Nenagh Heritage Centre, located in the old Governor’s House of the County Gaol, houses a small museum. It has recreated a school room from 1913 and the kitchen from the goal from the 1800’s. It also houses a genealogy centre. Brian Boru Heritage Centre, Killaloe -Situated on the bridge in Killaloe, this building also houses the tourist office (closed in the off season). There is an informative exhibition on the history of Killaloe and also the significance of Brian Boru, the High King of Ireland, who was born nearby in 940. Brian Boru Ring Fort, on road to Tuamgraney – Located approximately 1 mile from Killaloe, this ring fort was the ancient seat of Brian Boru. Known as Beal Boru, it is located in a tranquil spot where Lough Derg narrows and feeds into the River Shannon. A great place to get to when the spring weather arrives.